It's hard for a child to learn when they're hungry or being abused at home. Let's stop blaming teachers for problems they didn't create. I'm Steve Pearce. My mom loved teaching. But now Santa Fe asks teachers to be truant officers of social workers. Let our teachers teach. Fix our broken test system and put more money into classrooms. Good teachers don't give up on their kids. As Governor, I will not give up on our teachers. That's some pivot away from the current GOP orthodoxy espoused so strongly by Governor Martinez. She has made a major enemy of the teacher unions by pushing what Pearce calls the "broken test system." Also, public education has suffered budget cuts under the current Governor (due to a struggling economy and previous tax cuts) and Pearce, known for his small government philosophy, is now advocating a spending increase. If you didn't know better, you might mistake him for a moderate Democrat. Throughout the spot Pearce sports a smile and soft tone. It's probably the most smiling the curmudgeonly congressman has done since Ronald Regan was elected. The Dem special interests are not letting the week pass without another effort at busting Pearce's chops. The political arm of Conservation Voters NM has come with a big $500,000 TV buy against him. I've hunted new Mexico's public lands since I was 12 years old. The big oil and gas companies treat these lands like they’re theirs to do with whatever they want. But really, they belong to our kids and grandkids. Steve Pearce took millions in contributions from the oil and gas industry… and pushed to open more land to drilling. Pearce even voted to make it easier to privatize our public lands and shrink our national monuments. 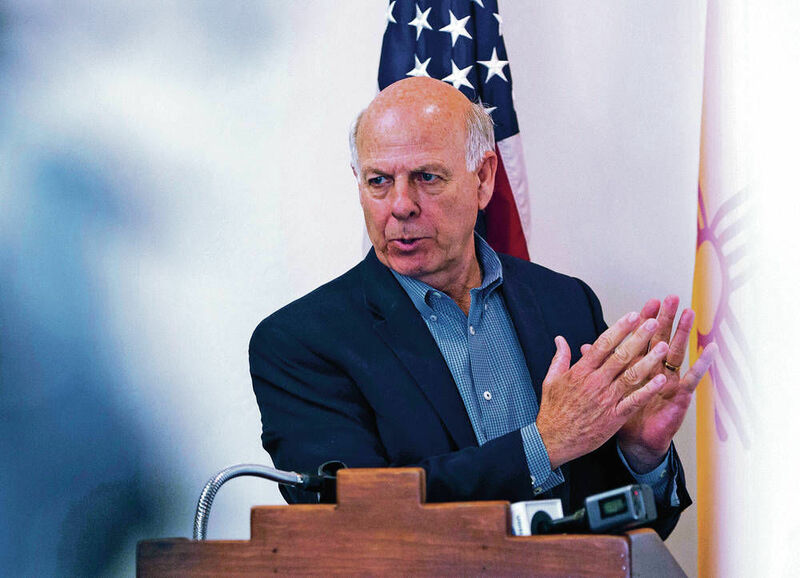 I don’t trust Steve Pearce to protect New Mexico, and neither should you. This ad might serve to strengthen Dem base votes for MLG concerned about environmental issues and perhaps make some inroads with hunters who prize access to the public lands but all in all, like the DGA ad before it, this is a soft hit. Going forward it is Pearce's transformation from a conservative to moderate that will have to be unmasked by the Dems. And here's a piece of trivia about the CVNM ad. The Don Schreiber in it is the first husband of Diane Denish, who was the 2010 Dem nominee for Governor. Schreiber lives in Blanco in the Four Corners. The Dems got a bit of boost this week when Politico--one of the DC outlets that rates the races for Governor--reiterated the NM contest as "likely Democrat." Other DC raters have it as "Lean Dem." The Politico and the other raters continue to call the southern congressional race between Republican Yvette Herrell and Democrat Xochitl Torres Small "Lean Republican." Meanwhile, a poll conducted for Dem Attorney General Hector Balderas, who is seeking a second four year term, shows him beating his two opponents--Republican Michael Hendricks and Libertarian A. Blair Dunn by a margin of 51-30-7. The poll also asked about the Governors race and had it 52% for MLG and 42 for Pearce. The survey was conducted by Global Strategy Group and polled 601 likely voters August 27-30. The campaign says the poll was conducted using live telephone interviews. Joe, the primary election put forward two divergent candidates. A young vice president--Jonathan Nez--who is a former council member and is known for tackling marathons and invoking his Christian faith; as well as former president – Joe Shirley Jr. who at the age of 70 is running his fourth campaign for the tribal presidency. More importantly, the tribal electorate handed Navajo President Russell Begaye his pink slip and did it overwhelmingly by giving him a fifth place showing and only a little more than 3,000 votes. He was bested by his Vice President Nez by 14,000 votes. In November, the Navajo Nation will have to choose between Nez and Shirley, who selected their running mates from a vast pool, but are two relatively unknown business professionals. 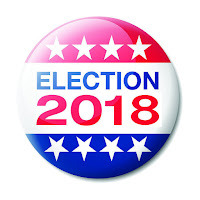 All the candidates are from Arizona and could work hard in New Mexico to get the attention of voters who don’t have a hometown candidate to root for. 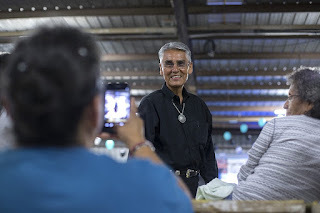 In fact, last week both Navajo presidential candidates stood in the background of a Gallup event hosted by US Rep. Michelle Lujan Grisham, the Democratic nominee for NM Governor. Both Nez and Shirley are professed Democrats and count on their support. Turnout for the primary was high, around 65 percent, and is expected to go into the low 70s in November as interest mounts. 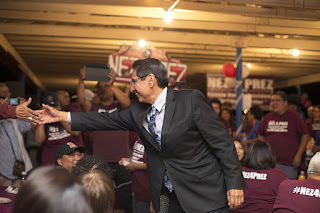 In Arizona, New Mexico and Utah there are fellow Navajos and “friends” of Navajos up and down the ballot. Thank you Joe. Hey, thank you, Navajo Gator. If it's about New Mexico politics, we cover it like a wet blanket. About the question of whether 83 year old ABQ Dem legislative candidate Bill Pratt would be the oldest person ever elected to the legislature. The key word is "elected." Several readers rightly pointed out that we have a number of lawmakers who have won at the polls after the age of 83, but they were re-elected and first elected at a much younger age. We don't think state records for the past 100 years would provide us a definite answer as to who was the oldest ever elected. Even David Abbey wasn't around back then. We're out on the campaign trail in search of the latest developments, and here they are. Mark your calendars for 6 p.m. September 19, political junkies. Because that's the time and date of the first televised gubernatorial debate and it could be pivotal. Fox Channel 2 will host the 60 minute face-off, to be followed by two more in October on KOB and KOAT. But the first debate usually draws the most attention and it comes early enough to have a substantial impact on the campaign--especially if someone messes up or if one candidate clearly dominates the event. Republican Steve Pearce and Democrat Michelle Lujan Grisham are both congressional reps with debate experience. Even so, we imagine both will have a few butterflies as they enter the debate arena with one another for the first time. Republicans watching the campaign of southern congressional contender and GOP State Rep. Yvette Herrell tell us they are breathing easier. They say her campaign has had a successful fund-raising summer and money will not be an issue in her contest with Dem hopeful Xochitl Torres Small. Torres Small didn't have much of a primary contest and at the last reporting period had over $495,00 in cash on hand compared to Herrell's $100,000. 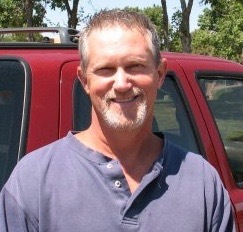 Herrell had an intense primary battle with former Hobbs Mayor Monty Newman. The R insiders say the money gap has largely been overcome. Herrell has also brought in some new staff for the final stretch. Torres Small is on the air with TV. Herrell is expected to join her soon. The race is rated "Lean R."
Really, really watch the ABQ state House race featuring GOP incumbent Rep. Jimmie Hall and Dem challenger Melanie Stansbury, advise the GOP Alligators. Hall's district went for Hillary Clinton in the '16 prez race and Stansbury is working it hard. Hall is a well-respected lawmaker but the demographics of the NE Heights district have changed and the Gators say Hall is now actually the underdog in that contest. Keeping it with the R's, some of their top strategists are now predicting that former two term State Land Commissioner Pat Lyons, who is wrapping up his service on the Public Regulation Commission, will defeat Dem nominee and State Rep. Stephanie Garcia Richard. That would be a big R win in what is expected to be a Dem leaning election. One reason the R's are confident? They think the oil and gas industry will go all in for Lyons with big PAC spending. Garcia Richard wants the state to transition from fossil fuels to renewable energy and Lyons is already going after her on the stump. The Dems push back that in the year of the woman Garcia Richard is well positioned. They also aren't shy about reminding you of Lyons' past ethics problems. Add this one to your list of races to watch list. A couple of notes on the race to replace retiring ABQ GOP State Rep. Larry Larrañaga. First, the name of the attorney who was one of two candidates to lose the GOP nomination Sunday to retired ICE agent Bob Godshall to replace Larry was Brian Williams, not Greg Williams as we first reported. Greg Williams is a well-known lawyer but not a Republican (nd Brian Williams is not the guy on TV. BernCo GOP central committee members made the pick and the story is on our Monday blog. Second, several readers ask about Bill Pratt, the retired physician who is the Dem nominee for the GOP leaning seat. He's a New Jersey native who was an orthopaedic surgeon at the UNM School of Medicine and Albuquerque and the VA Medical Center from 1976-1985 and served in the same capacity at the Alaska Native Medical Center from 1985-1987. Third, Dr. Pratt is 83 years old. If he pulled off the upset and defeated Republican nominee Godshall, would he be the oldest person ever to win election (not re-election) to the state House? For Wilhelmina Yazzie, joining the groundbreaking lawsuit against New Mexico wasn’t an easy thing to do. It was the only thing to do. The Navajo mother of three says she’s no different from the dozens of other parents who were party to Yazzie v. New Mexico, which declared the state’s public education system unconstitutional. 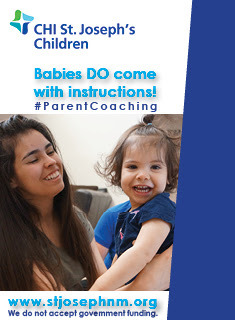 By most accounts, she is no different from tens of thousands of New Mexico parents in general. “I want the same things that every parent wants for their children,” the 39-year-old legal administrator said. Yazzie lives in Gallup, on the edge of the Navajo Nation, where schools in the Gallup-McKinley district lack everything from funding and qualified teachers to counselors, tutors, social workers and computers. . . I am sad to report the death of our old friend, neighbor and well-known comedy actor Bill Daily. He made a name for himself in Hollywood in the 60's and 70's starring in the "I Dream of Jeannie" and "Bob Newhart" shows. He settled in New Mexico in the 80's and adopted the state as his own. Bill acted and directed in many plays at the ABQ Little Theatre and appeared regularly on local radio, all the while touring nationally and making more TV sitcoms. He even served for a brief time as the director of the NM film commission under Gov. Bill Richardson. Bill was a man blessed with a great attitude who loved life and people. A native of Chicago, he was an accomplished jazz musician who loved the music of Sinatra, the comedy of Carson and the beauty of New Mexico. Most of all he was an effervescent, self-described "happy man" whose upbeat spirit was contagious. 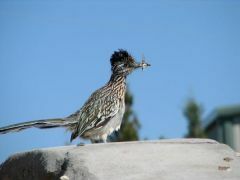 Word of his death came from his son Patrick in Santa Fe where Bill had recently moved. Thanks for the memories and the years of friendship, Bill. Critical Post Labor Day Phase Underway In Guv Chase: MLG Releases Poll To Bolster Supporters; Pearce Gets TV Station To Pull Attack Ad, Plus: Time To Downsize Zozobra? Welcome back. If you missed it, check out our Monday blog below for more news. Now on to the action. 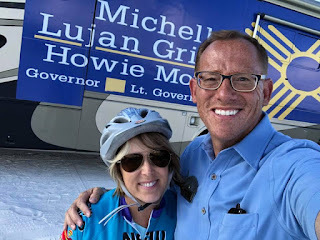 . .
Seeking to build momentum now that Campaign '18 has entered the critical post-Labor Day phase, the campaign of Dem Guv nominee Michelle Lujan Grisham released an internal poll that tried to dispel fear among Dems that Republican Steve Pearce is closer than expected and that, in fact, Pearce has a shot at winning the Governor's chair. The survey has Lujan Grisham beating Pearce 52-44 with only 4 percent undecided. The very low undecided raises questions about whether the 600 likely voters polled from August 18-22 were pushed to give an answer on the Governor's race. The campaign did not release the question (s) that were asked. The poll was conducted by Greenberg Quninlan Rosner. The polling memo did not list a margin of error but in surveys of this size it is typically around plus or minus 4 percent. The survey said MLG's favorable rating is at 47 percent and unfavorable at 29 percent. It had Pearce's favorables at 38 and unfavorable rating at 37 percent. The results are a far cry from the August Emerson College survey that had the race as a nailbiter, with MLG squeaking by Pearce 42-40. It's interesting that the Emerson poll was taken August 17-18, around the same time as the MLG internal survey. Emerson used landlines and online samples while the MLG poll employed landlines and cellphones. For Pearce the worry is that the best is behind him, that a solid summer will be greeted by a sagging fall as Dem voters--the majority--start to come home. 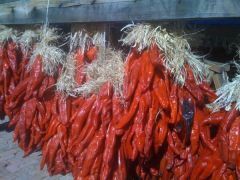 For MLG the fear is that her inability to put away Pearce over the summer will continue as the green chile harvest comes in. The Pearce for Governor campaign thanks KOAT-TV for its leadership in keeping New Mexico election ads honest. Candidates and outside organizations have the right to speak their opinions, they do not have the right to knowingly lie on New Mexico airwaves. Some Dems sniped that KOAT was alone in pulling the ad. Still, this attack didn't stick and it's back to the drawing board for the DGA which spent $275,000 to try to take Pearce out. Maybe try some different consultants, DC? But Pearce is far from off the hook, A sleeper issue in this contest could be his tax returns which the Dems keep gnawing away at with demands that he release them. Pearce said in May that if MLG would release her returns he would do the same. Well, she released five years of returns but multi-millionaire Pearce has been quiet since making his pledge. You have to wonder if that's because he never dreamed she would release hers. It seems the burning of Zozobora is a victim of its success at attracting ever larger crowds to the annual event staged at Santa Fe's Fort Marcy Park and which is a beloved 90 year old New Mexican tradition. However, this year's staging of the burning of "Old Man Gloom" may signal that it's time to scale back the annual Friday night frenzy. The solution? How about moving Zozobra to a day where the event would play out with a smaller crowd but safely? Why does the Kiwanis Club of Santa Fe--longtime sponsor of the event--seem determined to set annual attendance records year after year? They will make plenty of money for charity with 10,000 or so fewer people viewing the spectacle and avoid potentially dangerous situations like this past Friday's in which a mob was nearly formed. A number of years ago the burning of Zoobora was moved to a Thursday because of a shooting death on the Plaza following the event. It was moved back to the Friday of Labor Day weekend in 2014. Now it seems time to move it again, perhaps to the Sunday night of the holiday weekend or a Friday following the holiday? Sometimes smaller is indeed better. Think of the ABQ International Balloon Fiesta--the state's premier tourist attraction. When the number of balloons entering soared over 1,000 and not enough landing sites were available, the Fiesta capped the balloons at 550. That gave us a safer and more manageable event without damaging its reputation. 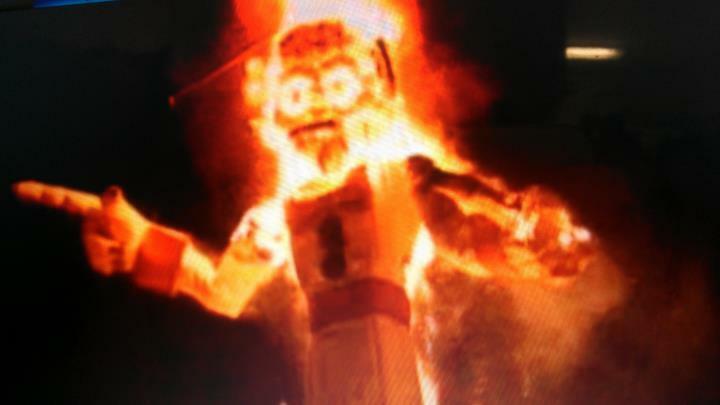 Zozobra is there to symbolize the burning of ones cares, not to create additional worries. Changing the date for his burning would preserve a great tradition that in the chaos of Friday night appeared increasingly endangered. Republicans have tapped retired ICE agent Bob Godshall to fill the shoes of longtime ABQ NE Heights State Rep. Larrañaga, and they say they are confident that the pick will help them keep control of the heavy R and Anglo district come November. Godshall, 62, was tapped by the Bernalillo County GOP Central Committee Sunday to replace Larrañaga who withdrew his candidacy last week citing family health reasons. He was first elected to the House in 1994 and was its third longest serving member. Godshall, a native of Philadelphia, beat out former GOP State Senator Lisa Torraco and attorney Brian Williams to win the nomination. He will face off with Democrat and retired doctor Bill Pratt in the general election. Pratt ran in the district in 2014 as an independent candidate and lost by a 60 to 40 margin against Larrañaga. In 2016, Larrañaga dispatched a Dem opponent by a similar margin. Godshall tells me his top priority, if elected, would be to make NM more business friendly. "I hear that concern from many of my friends." Godshall says he has been a partner in a local Brewery but is discontinuing that relationship after what he says was a "business disagreement." His background in immigration, he said, would be useful in Santa Fe but he is not going to make that the main driver of his candidacy. Godshall cites as a role model former ABQ GOP State Rep. Janice Arnold-Jones who is the GOP nominee this year for the ABQ congressional seat. Arnold-Jones has tangled with Gov. Martinez and while Godshall says he has no quarrel with the Governor the assumption that he is not part of her political machine is correct. Insiders had floated the names of former GOP State Rep. Teresa Zanetti and her husband former NM politico Greg Zanetti as possible replacements for Larrañaga. But it was determined before the central committee meeting that Greg Zanetti had moved into the district after the election proclamation and was not eligible to run. Teresa Zanetti says she did not pursue a candidacy because she has resumed her teaching career. We've nicknamed Brian Colon the state's "Happy Warrior" because of his nonstop and upbeat campaigning for whatever office he may be seeking at the time, but judging by social media we may also have to award him the title of "Most Photographed Man In New Mexico." And it seems 90 percent of his ubiquitous photos are taken by the Democratic state auditor candidate himself. Here he is snapping his umpteenth campaign selfie, this time with Dem Guv nominee Michelle Lujan Grisham and obviously enjoying every second of camera time. Well, after failed runs for lieutenant governor and ABQ mayor, the ABQ attorney no longer has to force the smile. He is the front runner and favored to defeat appointed Republican State Auditor Wayne Johnson come November. But Johnson is also no slouch in the campaigning department. and the former BernCo Commissioner is running an aggressive auditor's office and making headlines along the way. If anyone can wipe the smile off Brian's face, it might be him. But for now New Mexico's Happy Warrior is preparing for the ultimate photo op--the winner's circle on Election Night. The holiday weekend is not quite over and reader Eric Lucero is spending it at the movies. Here's one he thinks worthwhile and that has a bit of a NM touch. 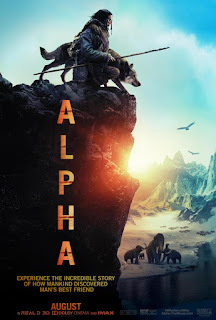 Alpha (PG-13) ****1/2 Stars out of 5---Dog lovers and the curious alike may think that “Alpha” is merely a cleverly re-packaged “Boy and His Dog” story. It is not! It will pull at your heartstrings and have you reconsider what you thought of our shared past. Through deft story-telling, augmented by great performances and stellar IMAX 3D cinematography, "Alpha" makes for a historically moving adventure film based on the known archaeological and genetic record of Europe 20,000 years ago. “Alpha” tells the coming of age story of Keda, the Cro-Magnon tribe’s lost hero, and Alpha in the title role as they struggle together to survive. The film's secondary mission is to offer a realistic view of our ancestors’ daily lives and an explanation of how and why man’s best friend became the dog. This chance bonding probably saved both species from Ice Age extinction and changed the history of life on the planet. The successful fashioning and use of the flint arrowhead is central to the film’s storyline and the fictional tribe it portrays. That history leads to New Mexico via the discovery of flint arrowheads and human remains near Clovis, NM in the 20's that rewrote history. Clovis Man migrated to our state via the Siberian/Alaskan land bridge and his culture became the forerunner of that of the Navajo and Apache peoples. “Alpha” was primarily filmed on location in Canada and Iceland, but there is a smattering of visual landscapes credited to the NM film industry. You will appreciate seeing this film in 3D. Both Oscar and the Golden Globes should reward this gem. Finally, a note on the really important stuff this Labor Day. What's up with the big change in salads at ABQ's Dion's? Here's the answer.